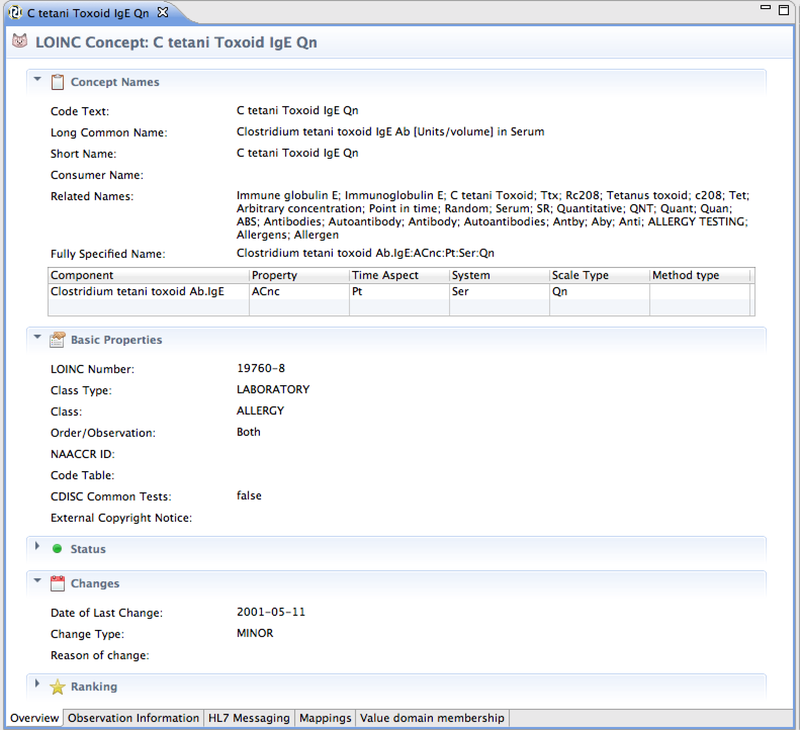 LOINC (Logical Observation Identifiers Names and Codes) is used to identify medical laboratory observations. The latest version of LOINC is available in Snow Owl. A view and an editor have been added to display LOINC content, it's also possible to search for LOINC content. 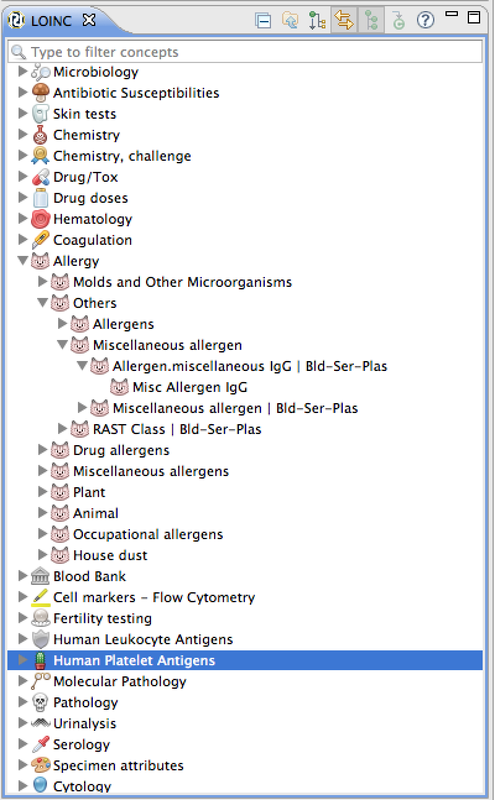 Icons are used to distinguish different LOINC top level classes (e.g. fertility testing, skin tests). 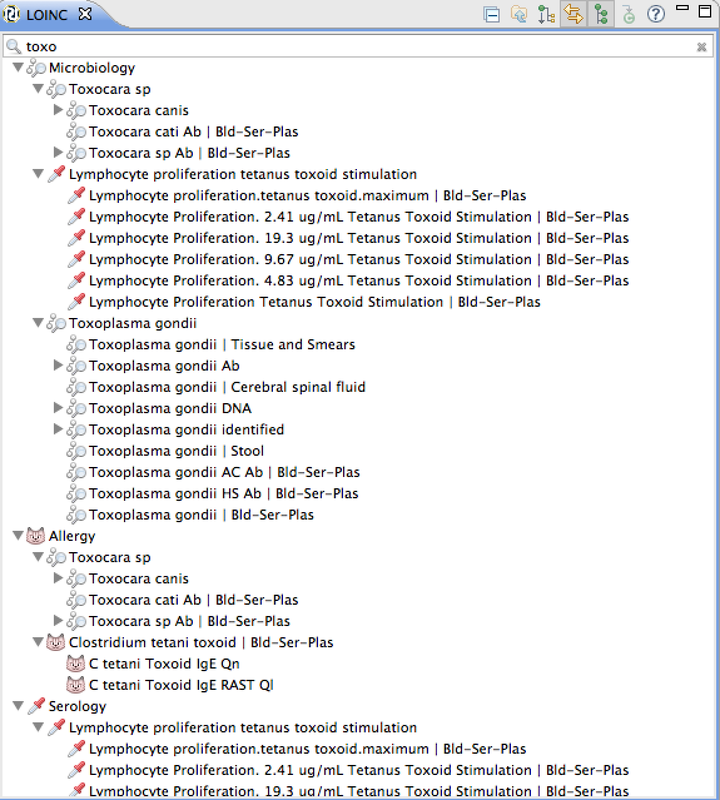 The LOINC view displays the short-names of the codes as a tree structure. Clicking on the triangles allows you to browse the multi-axial hierarchy. The functions in the navigator are similar to the other views (e.g. 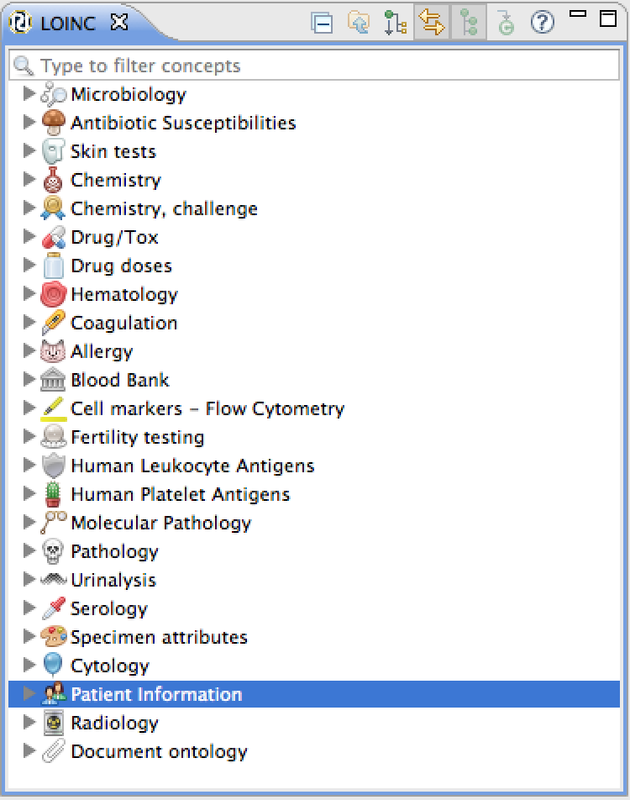 SNOMED CT). The LOINC codes are at the end of the hierarchies. Overview: Displays concept names, basic properties, status, changes, and ranking. Observation Information: Displays information related to observation, e.g. substance, units, survey information. Click on the tab at the bottom of the editor to view a page. You can see if the code that you are looking at is used in a mapping or value domain by going to the respective tabs where the details are listed. Searching for LOINC codes works similar to searching within other terminologies. Quick search allows a comprehensive search across all terminologies and classification systems. Search results for LOINC appear as a new category (see screenshot). The LOINC view uses the same functions as the other concept navigators in Snow Owl: You can use the text field to do filter searches, displays filter results hierarchically, link with the open editor, set a concept as the root node, and return to the default root node, etc. There's also a LOINC tab in the Advanced search dialog. 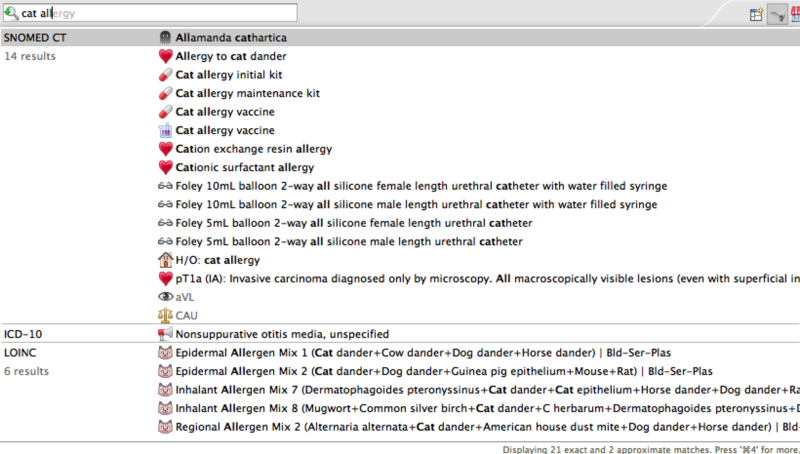 Searches can be made based on Code and Label. The results are displayed in the search view.